If you hear about sports celebrations on the news, it’s not always a good thing. Maybe a player earned a penalty for taunting or a technical foul for hanging on a rim. Maybe they were fined for an excessive touchdown dance. Sometimes the story is fans getting too rowdy after a team wins a championship. 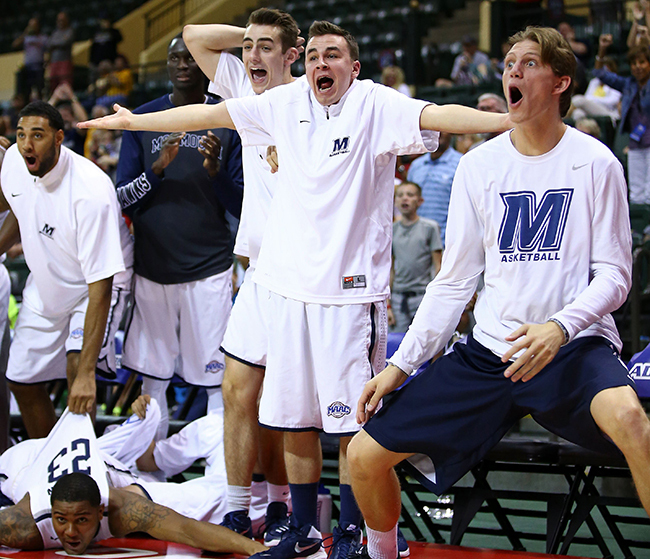 The Monmouth bench mob is not one of those stories. 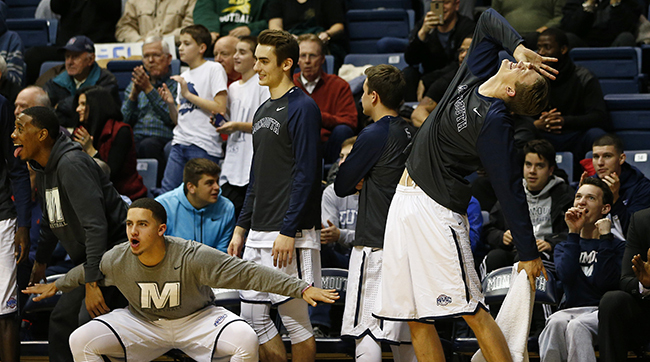 Aside from their creativity, what sets the Monmouth bench celebrations apart from what we normally see is that they are all about pumping up their teammates and giving positive energy to the guys on the floor. Coach King Rice wouldn’t allow taunting. Instead, he feels the bench mob is doing their job by being involved in the game. And that’s the other big difference: the players gaining fame for their celebrations are not the stars but guys who see little playing time themselves. They are an example of true teammates and that everyone has an important role on a team. Watching Monmouth play basketball — and watching the Hawks’ Nest in action — you get a feeling of the true joys of sports. The Monmouth bench mob reminds us that sports are really about being part of a team, trying your hardest, and yes, having fun!